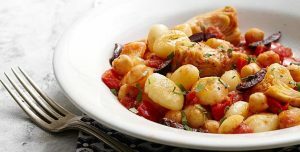 Artichoke hearts, olives and a splash of red-wine vinegar give this ultra-quick, healthy vegetarian gnocchi recipe pizzazz. For an additional hit of Mediterranean flavor, try topping with feta cheese. 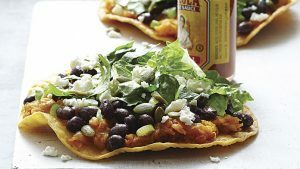 The butternut squash-and-black bean base in these healthy vegetarian tostadas has a mild, sweet-spicy flavor thanks to ancho chile powder. 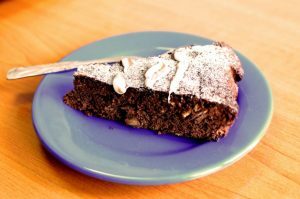 If you can’t find ancho chile powder, other mildly spicy chili powder can be used. Serve with your favorite hot sauce. 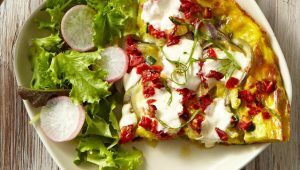 This vegetable-studded frittata recipe is one of the quickest meals you can make. 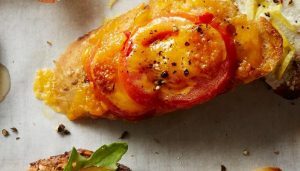 Make it for breakfast, or serve for lunch or dinner with a tossed salad and a slice of olive oil-drizzled crusty baguette. 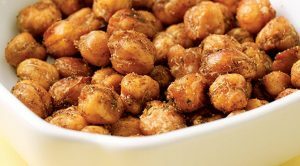 When roasted in a hot oven, chickpeas become super crunchy. They’re a great low-fat substitute for nuts when salty cravings hit. 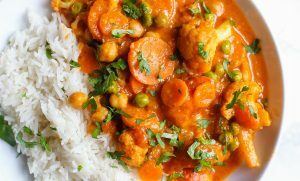 Like many curries, the recipe is adaptable. 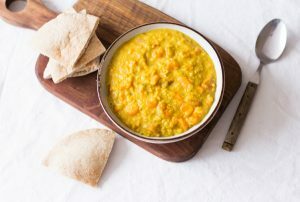 Yellow split peas can work in place of red lentils. 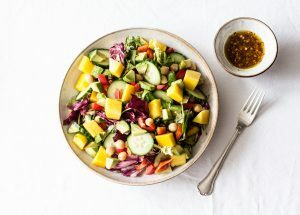 If you’d like to add celery or omit the carrot, or swap butternut squash for sweet potato, that’s fine. 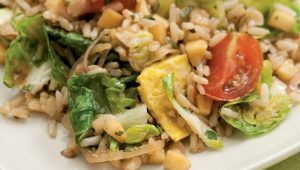 It’s the spices and the hearty texture of legumes + root vegetables that make the dish.